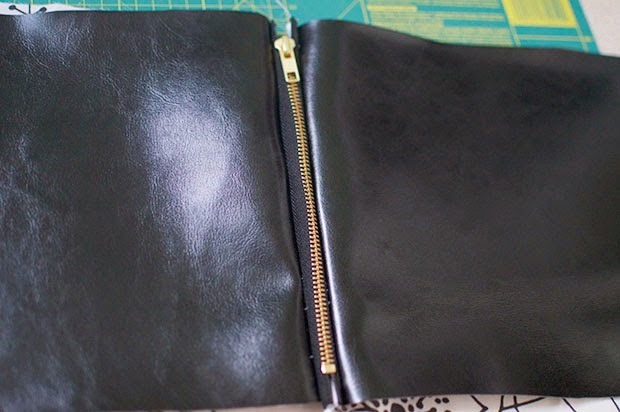 - Now unzip your zipper and then pin the right sides of the leather together and then the right sides of the lining together. 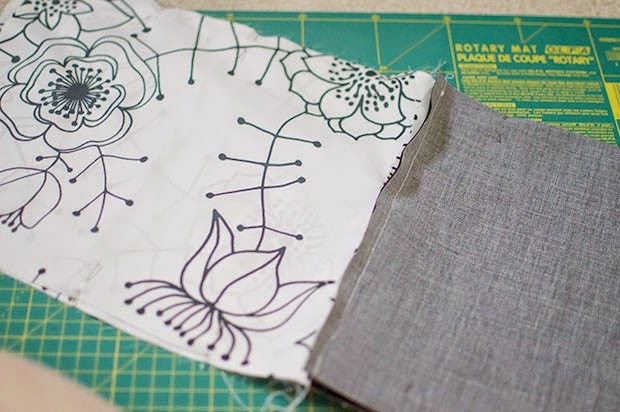 - Sew all around the pieces but leave a small hole at the bottom of the lining fabric. 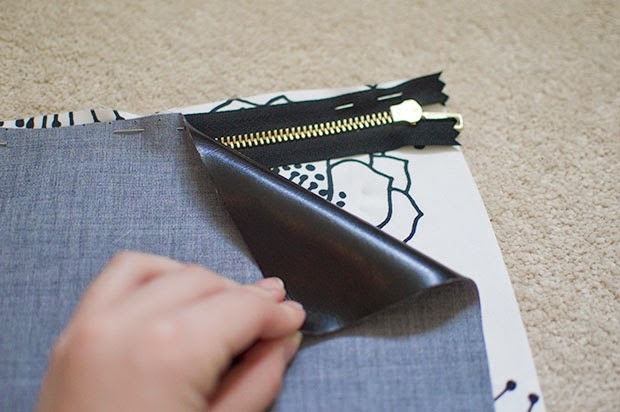 Cut off your corners and trim off any excess fabric around the seams. 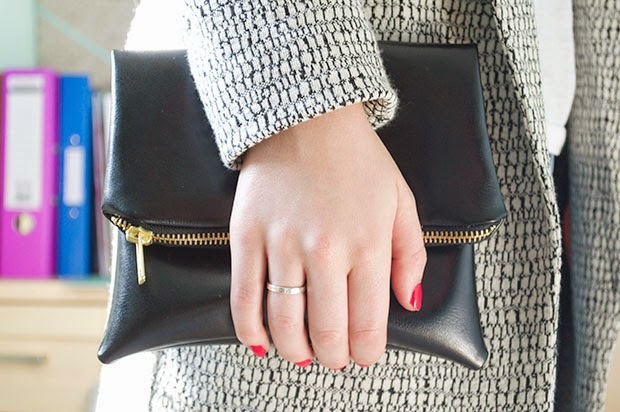 - You're nearly there! 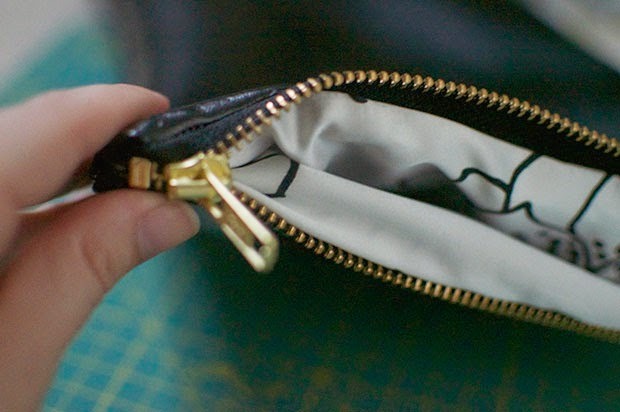 Use the whole you left earlier to turn everything right side out and sew the whole in the lining closed. 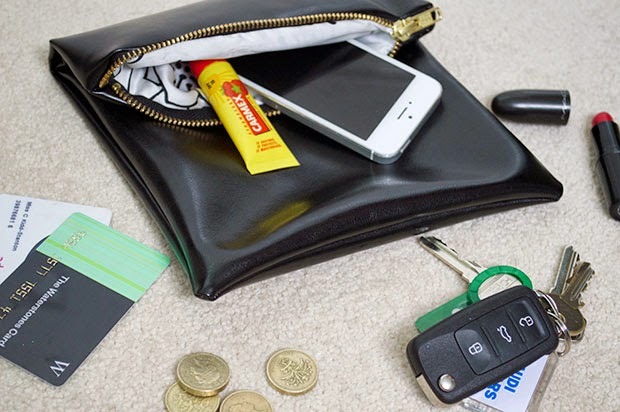 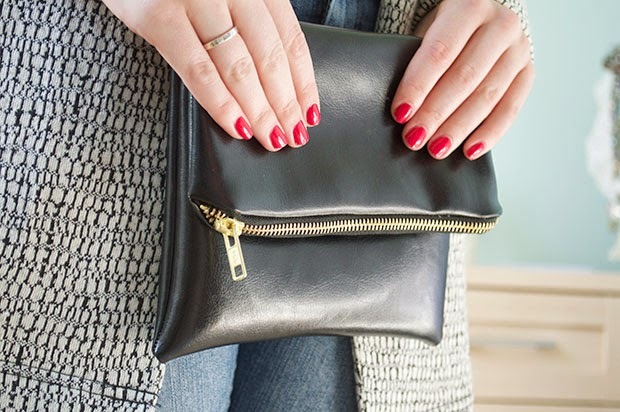 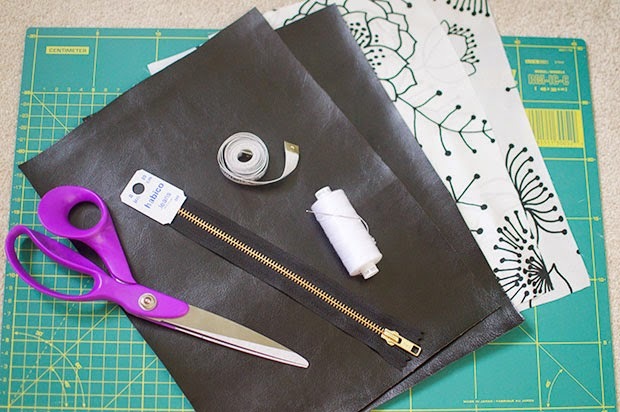 - Push the lining inside of the clutch, fill it with all your essentials, fold over and your ready to go!